You may or you may not have heard about the law of attraction. But even as you begin to try to understand this natural law of the Universe, the secret is already out! You have been using it practically every day in your life. Are you shock? Don’t be because if you look back and analyze all that you have attained and experienced in your life till now, you will be able to see a connection between them and your personal attitude towards life. You would be surprised to find that you have actually attracted some of the things that you currently have. The law of attraction builds on the principle of “like attracts like” and the attraction relies a lot on your thoughts and emotions of any kind which subsequently of course is dependent on your reactions to whatever happens next. Most people with you and me included have been conditioned through our years of upbringing to possess latent or dormant fears buried deep inside our subconscious mind. Unfortunately for the select few who put loads of energy worrying about them, these fears will eventually manifest themselves in their lives at some point of time. If you can see how some of your fears have created the life situations you do not favor, you will realize that you have the power to survive and change your life the way in the opposite direction. 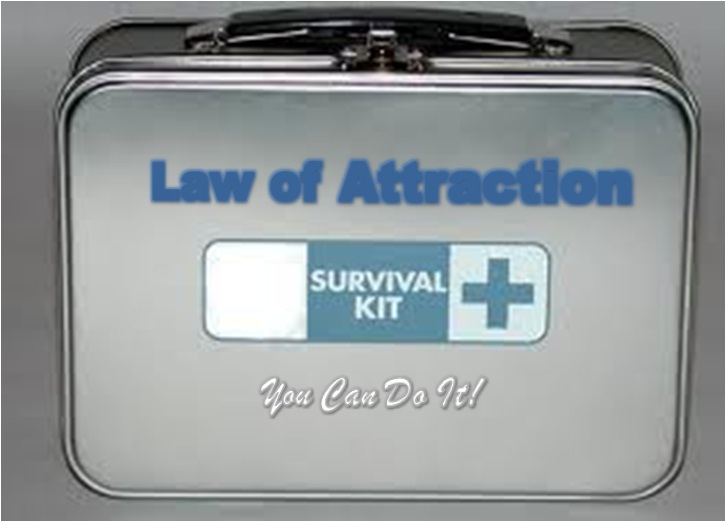 And that is using the law of attraction as your survival kit! Your thoughts and emotions are the fuel to your fears and the more you worry about them the stronger they are to overwhelm you into being. Instead of using your thoughts and emotions to fuel the negative, why not use them as an energy source for all your good intentions in life. 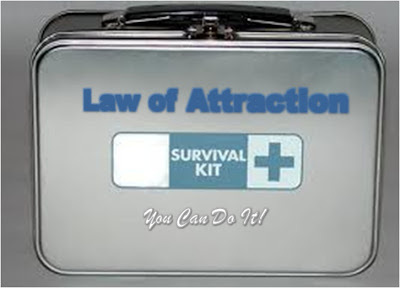 Here is a list of items in the law of attraction survival kit that will help you power your desires into reality. 1. Accept change and accept the responsibility ~ take control of your life. 2. Find your life purpose ~ it adds value to your life and it is a roadmap of your inner being. 3. Activate the things you want in life by identifying your desire ~ clarity strengthens attention. 4. Give your desire the due attention ~ have an action plan ready. 5. Reprogram your mind ~ clean up your thoughts towards positive thinking and one of the best ways is using positive affirmations every day. 6. Be thankful ~ appreciate everything that you have created. 7. Have faith ~ the more doubts you eliminate the more you allow your desire to happen. 8. 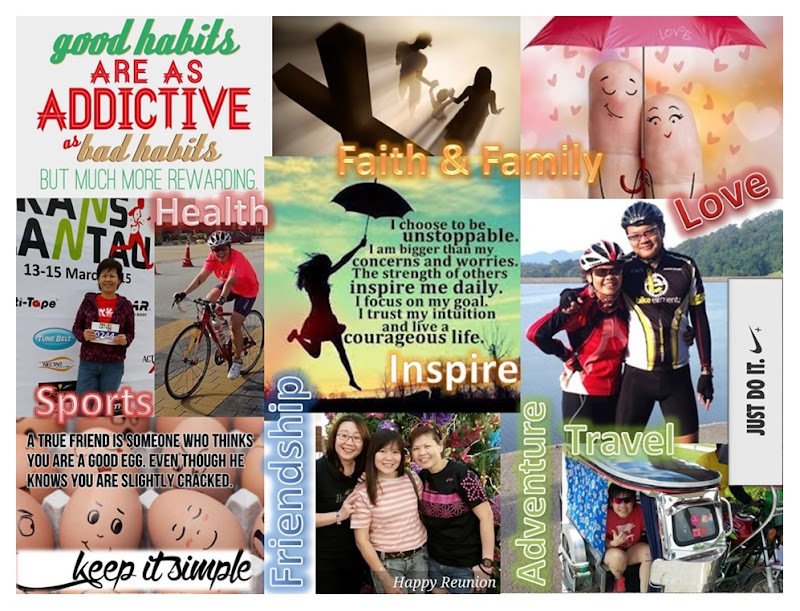 Enjoy the process of your everyday life ~ create beautiful happy memories to be cherished long after you have achieved your desires. 9. Practice random acts of kindness ~ a random act of kindness is an expression of abundance. It dissolves your thoughts and feelings of lack. 10. Believe and celebrate with the world ~ believing passionately is a conviction and the more you share about it with others, the deeper is your belief.